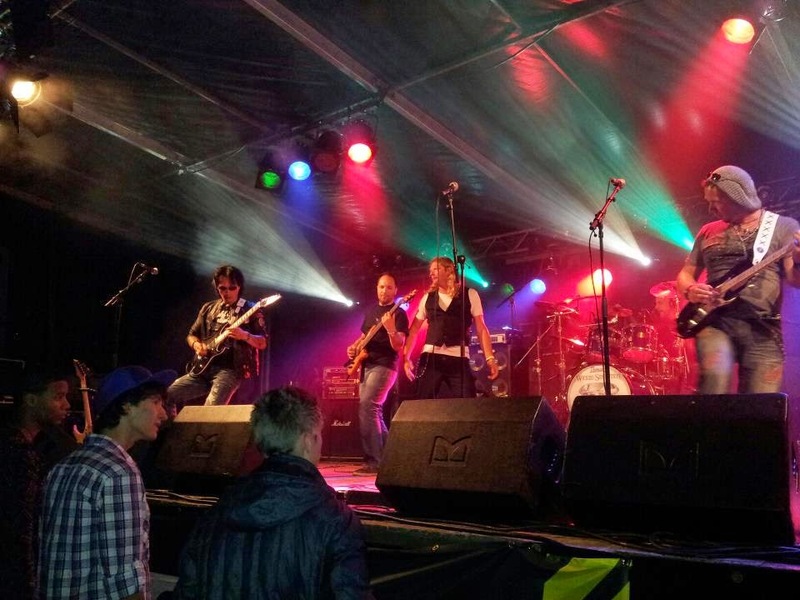 German melodic hard rockers Wicked Sensation hit back with a fourth album and the first since 2010´s Crystalized. The band was formed in 1999 in Karlsruhe, Germany by guitarist and songwriter Michael Klein. 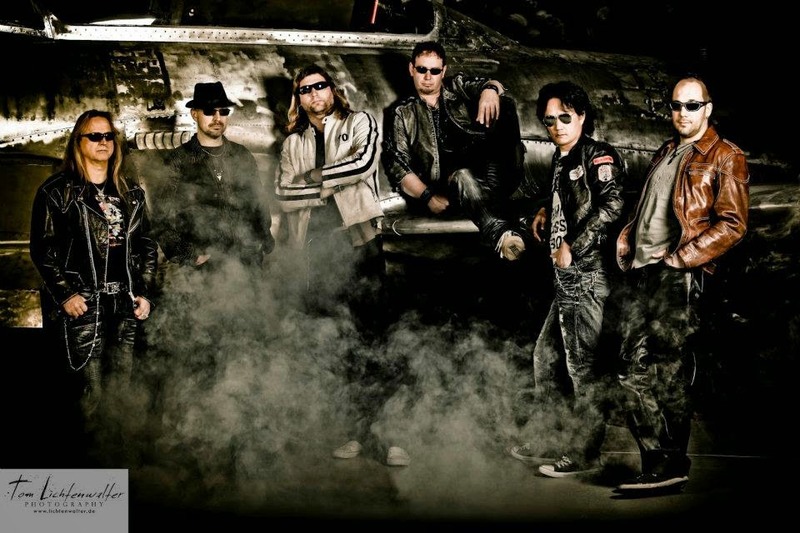 The original band was made up by Klein, guitarist Sang Vong, lead vocalist Francis Soto, keyboard player Bernd Spitzner, bass man Martin Mannhardt and finally drummer Björn Gref. They released a self-financed and self-titled debut maxi-CD in 2000 which landed them a deal with now-defunct German label MTM records. Before releasing the highly praised Reflected through that label in 2001 Dutch vocalist Robert Soeterbeck (ex-Highway Chile, ex-Vulture) took over the mike from Soto. The album was a great debut album with huge choirs and hooks galore. Reflected was named album of the month in the large German magazine Rock IT! The album was well received by both fans and media. Tours followed with the likes of Axxis and Dare. It took the band three more years to carve out another melodic masterpiece in the form of Exceptional, released in 2004. This is as the title suggests an exceptional album. I might not be objective because the lead vocals were handled by one of my all time favorite singers - Fernando Garcia (ex-Victory) replacing Soeterbeck. To this day, this is in my book a hugely underestimated effort with 12 great melodic gems with some great guitar playing from Vong/Klein as well. The songs and the riffs were all memorable and the stars aligned at that moment. Yet again the new album received rave reviews and was named album of the month in Spanish magazine Rock Hard. After another tour, the band called it quits in 2006 citing "musical differences". Ever heard that before? 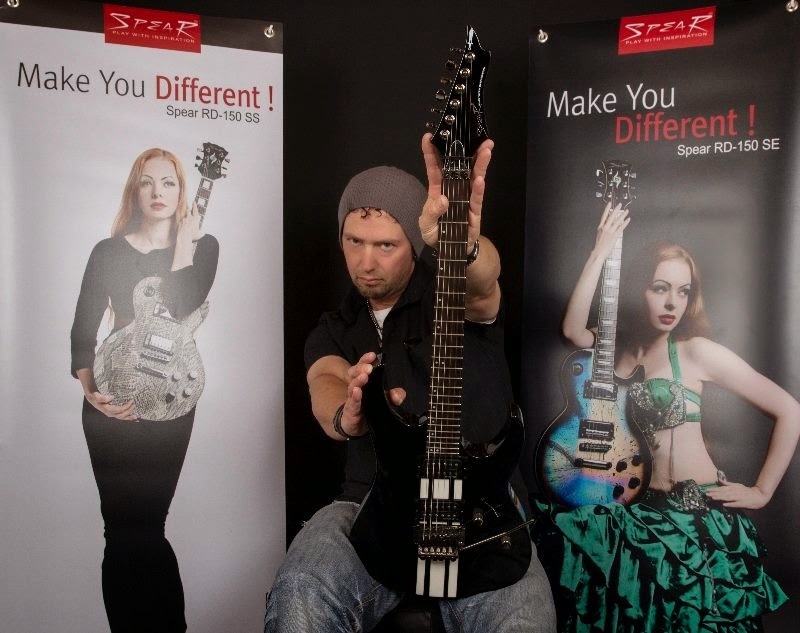 Guitarist and main songwriter Michael Klein felt that the band had not yet run its course and in the summer of 2009 he reconnected with Robert Soeterbeck and started to write new songs. They were joined by Pink Cream 69 bassist and producer extraordinaire Dennis Ward, original keyboard player Bernd Spitzner and new drummer Dirk Bruinenberg (ex-Elegy, Bob Catley). They recorded the comeback album Crystalized which was released through the German Metal Heaven label. It contained all the typical trademarks of the earlier albums - strong songs, modern production, and top notch musicianship. Although not reaching the highs of Exceptional it was still a good comeback effort. It also featured a guest appearance from Andi Deris (Helloween, ex-Pink cream 69) on the song "My Turn To Fly!" So at the end of last year it was time for another Wicked Sensation album but it was a long way and a really bumpy road to even get it released in the first place. Wicked Sensation seems to be plagued by bad luck throughout the whole career and this new album is no exception. When the songs for Adrenaline Rush had been written by Soeterbeck and Klein the recording process started with Dennis Ward (Pink Cream 69) at the helm. During that process, Soeterberck was diagnosed with a cyst on his vocal chord leaving operation as the only suitable option. He asked the band to find a singer that could finish the album and get it released although still staying with the band and a plan to come back when rehabilitation was finished. David Reece (ex-Accept, Bangalore choir, ex-Tango Down among others) offered his services and the album could finally be completed. The album also sees original members Sang Vong and Martin Mannhardt back in the fold. So what does the new offering, Adrenaline Rush, sound like. Old fans won´t be disappointed, The band hammers through 11 songs in the classic Wicked Sensation heritage. It is a very solid effort with a whole bunch of strong songs filled with energy. This is how hard rock with a melodic edge should sound like! It´s filled with no-nonsense hard rock, filled with hooks and straight to the point. The songs are really catchy and stick easily in your head. Picture courtesy of the bands Facebook page. The album starts with grand opener "King Of My World" which is a great melodic song with a huge hook. David Reece does a great job on this and a nice riff and solo duel from Vong/Klein. The chorus has a habit of sticking in the head for a while after listening to this song and I find myself involuntarily toe-tapping. Lyrically it´s about nightmares and facing your fears. Then it´s time for "Same Old Situation" which is a straight ahead rocker lacking the predecessor's strong hook line. It´s still a solid rock song with some nice keyboard fills from Spitzner. It deals with a relationship that's been going on for too long. Third spot is occupied by "Misery" which starts off with a cool bassline from Mannhardt. A great riff with some fancy stuff on the guitar from Klein during the verses adds value and the song has a nice bridge building up to a memorable chorus line. There is also nice dual guitar duel from Klein/Vong in the midsection of the song. One of the stronger songs on the album - definitely. It´s predecessor dealt with the negative side of relationships and this song is about the other side, about falling in love, having a crush and all the euphoric emotions that come with it. It is followed by the blues infused "Leave Me Like A Fool" and we get some nice Hammond organ sounds too. A notch heavier song that is getting more melodic for the chorus line. The song reminds me a bit of late 80´s Whitesnake. Relationships are again the main theme here and never finding the woman you are looking for and if you do, you find out she is not interested in you. Next up is "Blue Painted Sky" and we are now reaching midway through the album. Not glancing at the cover I first thought this song was called "Out On The Beach" with a gang vocal on that part of the lyrics, but it is not. Again it´s a strong effort with a nice hook with and a great gang vocal on the chorus. The lyrics deal with the feeling of driving your car on a nice sunny day heading for the beach with the wind in your hair listening to your favourite song - a situation I think we all can relate to. A familiar song title is up next for those of you familiar with the David Reece back catalog, a song called "Angel In Black". For those who are familiar with the Reece fronted Bangalore Choir might recall this is exactly the same song title as the first track on their debut album. This song continues on in the trodded line of melodic hard rock and you will have all features here with a hooky chorus line and a nice vocal melody during the verses. The dark lyrics deal with nightmares and fears. We are then treated with the first power ballad in "Living On My Memories" or maybe it´s a slow rocker? Anyway it´s again a song about bad relationships and a strong effort with a nice vocal from Reece. "Desperate Nation" is up next and now we´re back in the heavier department with a heavy riff driving the song and a layer of keyboards floating on top of that. With the heavier arrangement, it adds variation to the impression of the whole album. It's also different when it comes to the lyrics which are more "political" and describes a situation with ethnic cleansing (too common in our world today) and fighting for your life in a war you did not want. It´s now time for the title track and the fastest song so far on the album which also features a guest appearance by original UDO guitarist Mathias Dieth. The tempo is shifting up a gear for the chorus line. The song has several nice tempo changes and it´s a really strong song with a memorable hook. As the title suggests it's about driving your car at a high speed and the adrenaline rush that comes with it. One of the stronger songs on the album with interesting and different arrangements. "No More Lies" starts of with a heavy and scratchy riff and some nice guitar harmonies soon kicking in. A heavy driving riff gets the song off the ground and in my opinion the strongest song so far. The message is to stand up for your beliefs and let nobody change who you are (including your partner!). The album rounds off with the acoustic ballad "This Time" . It represents a nice shift, adding some new elements to this excellent album. I guess it's during this song the phones will be brought forward (lighters are out of date I guess). The song seems to be about reaching out for help and the decision to take the chance "This Time". I´m sure you could argue that there is a lack of originality and that Wicked Sensation does nothing to reinvent the scene but that was never really the issue here. When you get this kind of quality songs and great music there is really not much to complain about! 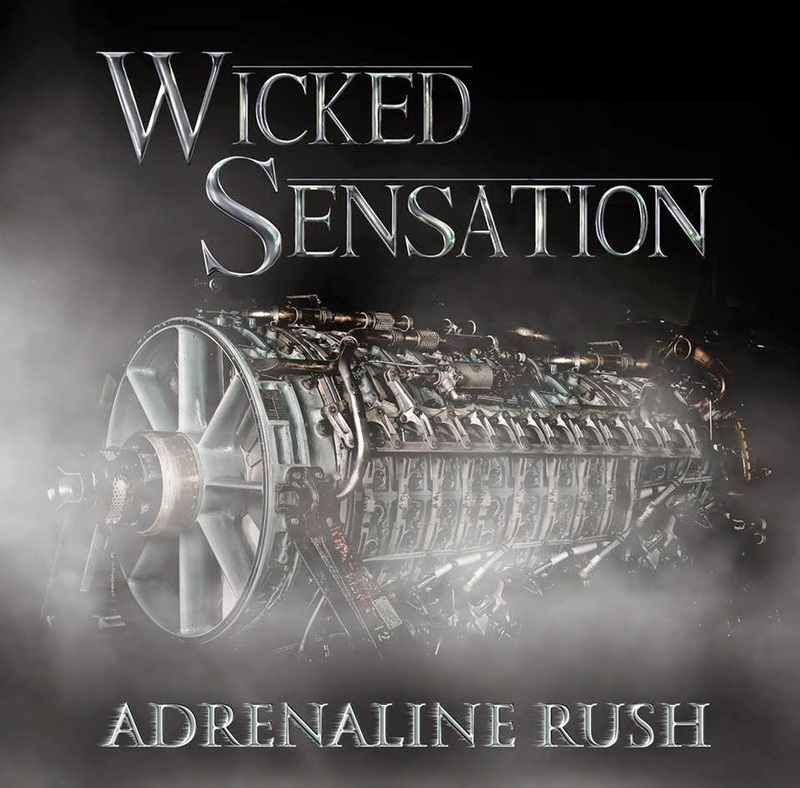 Wicked Sensation certainly have the kind of qualities that are so rare in today's music biz. I don´t think it reaches the highs of Exceptional (that really is an exceptional album!) but it´s not far off. You will get what you expect and demand from Wicked Sensation and that means catchy choruses, solid production, great vocal and guitar harmonies and some nice keyboard fills here and there. This album should merit at least 8 geeks out of 10 for the consistency in the songwriting department, a solid vocal performance by David Reece alongside some nice licks from Klein/Vong. The more you listen to the album - the more you find small details - a drum fill here, a riff in the background there and so on. It´s still a very head on and straight hard rockin´ album that you can easily digest. If it´s in the race for the long run is hard to say. I wish Robert Soeterbeck a speedy recovery and would love to see this album promoted in a live situation. Well done boys! Wicked sensation on the world wide web!